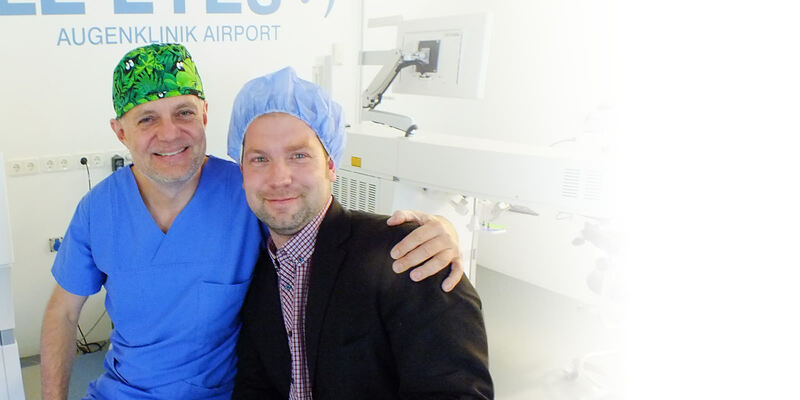 That´s what the Smile Eyes experts in Weiden ensure – competent specialists that will find the best and most secure laser treatment for your eyes. Why have your eyes lasered by Smile Eyes Weiden? The SMILE-Method the most innovative and gentle eye laser treatment of new generation. After your laser treatment we are at your disposition as competent eye specialists. Do you know your refractive error? presbyopia or do you suffer from astigmatism? Depending on the kind of defective vision and the condition of the eye there are several methods for correcting the defective vision. The decision which method is best for you and your eyes can be made after a detailed preliminary examination and a consultation with one of our Smile Eyes experts in Weiden. "Every surgery is preceded by a comprehensive preliminary examination. Our careful medical indication is a guarantee for our long-lasting successful treatments." "Quite often in life one asks oneself why didn´t I do this earlier. That´s how I felt after my eye laser." "It was a turning point. The best one can do for one´s eyes!"